El Día de los Muertos, the Mexican interpretation of Allhallowtide, celebrates and good-naturedly mocks death as a means of accepting and reducing fear of it. Legend has it that when November rolls around, the souls of the dead briefly return to visit their loved ones. Deceased children and infants (los angelitos, or little angels) arrive Nov. 1, and adults come Nov. 2. Celebrants honor the spirits with gifts, music and prayer. 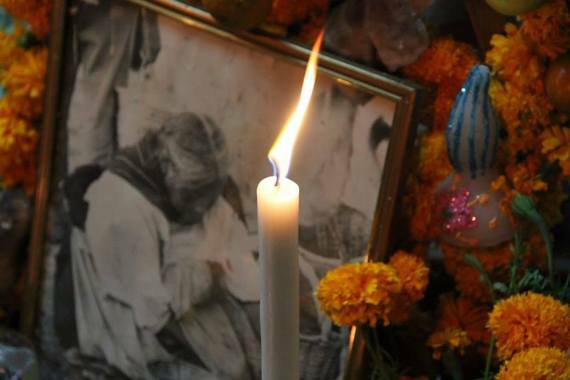 They visit graves to clean and decorate them with candles and marigolds (which symbolize death). Homemade altars adorned with the cross, images of the Virgin Mary, photos of the deceased and papel picado (perforated paper, a signature of Mexican folk art) are another common sight. Typically people leave ofrendas, or offerings, for the spirits, which vary according to what the deceased person liked in life. Parades, vigils, dancing and feasting often take place near or at the cemetery. Traditional foods include mole, tamales, tortillas, fresh fruit, hot chocolate, sugar skulls and pan de muerto ("bread of the dead"). In exchange for all the joy and reverence, folklore holds that the spirits will protect their loved ones from evil. Come fall, el Día de los Muertos permeates Mexican media and popular culture. Newspapers print Calaveras, seasonal poems that mock death with lines like "La muerte es flaca y no puede conmigo" ("Death is skinny and cannot carry me.") Cartoons and illustrations of skeleton archetypes such as la pelona ("Baldy"), la flaca ("the skinny one"), la huesada ("the bony one") and the character La Calavera Catrina, an elegant lady skeleton, also mock death. Performances of the play "Don Juan Tenorio," a self-described religious fantasy drama by José Zorrilla, draw crowds to theaters. 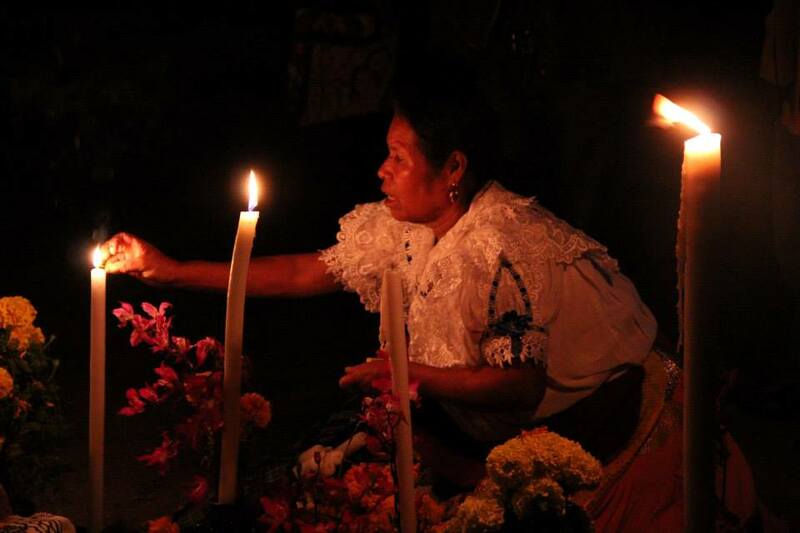 Though the two-day celebration originated in Mexico, much of Central America now embraces el Día de los Muertos. The holiday fuses pre-Columbian traditions dating back at least 2,000 years with the Catholicism brought by Spanish conquistadores. Today Mexican cities best known for their elaborate Día de los Muertos festivities are Oaxaca, Pátzcuaro, Huejutla, Chiapa de Corzo and Mixquic. Brazil celebrates a similar holiday called Dia de Finados, while Spain, the Philippines and Catholic Africa have their own takes on All Souls' and All Saints' Days. 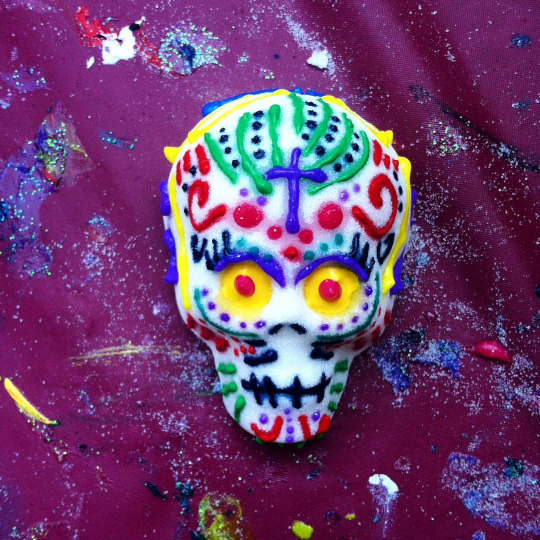 El Día de los Muertos has started to gain wider recognition in the United States. Perhaps the most recent and notable example is 20th Century Fox's release of "The Book of Life." The animated musical comedy, which hit theaters last year, centers on a group of school children whose trip to a museum helps them learn the mysteries of Mexican folklore. The holiday also is recognized at increasingly more U.S. schools, churches, galleries, and community centers. St. Bernadette School in Springfield, Virginia builds a Día de los Muertos altar and decorates a hall near the front office with folkloric art. Spanish and art students may make mobiles or miniature skeletons from plastic straws, among other crafts, depending on the year. Spanish teacher María Schlosser also encourages students to bring in photos of their deceased loved ones to place at the altar. "(The students) learn to honor their ancestors in a happy way," said Schlosser. "It's good for them spiritually." Schlosser, who was born and raised in Guadalajara, Mexico, grew up celebrating el Día de los Muertos. The Arlington Arts Center in Arlington, Virginia has celebrated the holiday by producing an annual exhibit for more than a decade. Curated by Washington, D.C. artist David Amoroso, the exhibit showcases the work of about 15 metro area artists and typically opens with a reception featuring Mexican food and music. Amoroso, who has curated the show since its inception, said, "No matter what your beliefs may be, Day of the Dead is an opportunity to remember your loved ones. Hopefully we can all learn that our deceased loved ones will live on with us as long as we remember them." All photos by Christine Stoddard and Helen Stoddard.